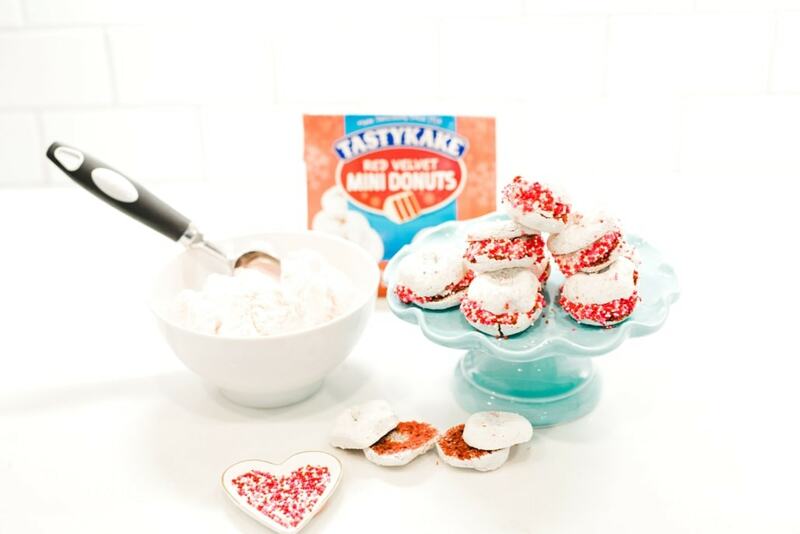 Whether you are taking treats to school for your kiddo’s class, or hosting your Girl Scout Troop for a holiday activity, or just want to make something simple yet special for the family this Valentine’s Day – TastyKake has the perfect plan for you! Split the mini and add a small scoop of ice cream that compliments your choice in cake. 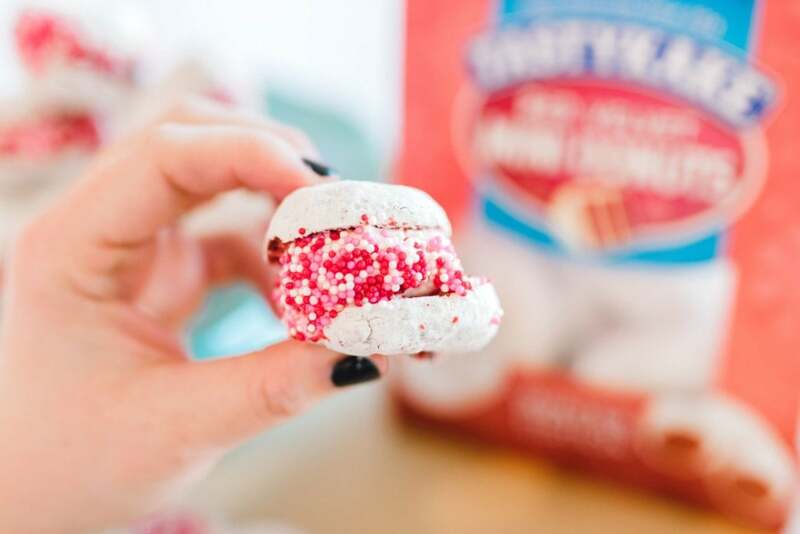 You could combine powered donuts with strawberry ice cream, or cinnamon donuts with vanilla ice cream, the list goes on! 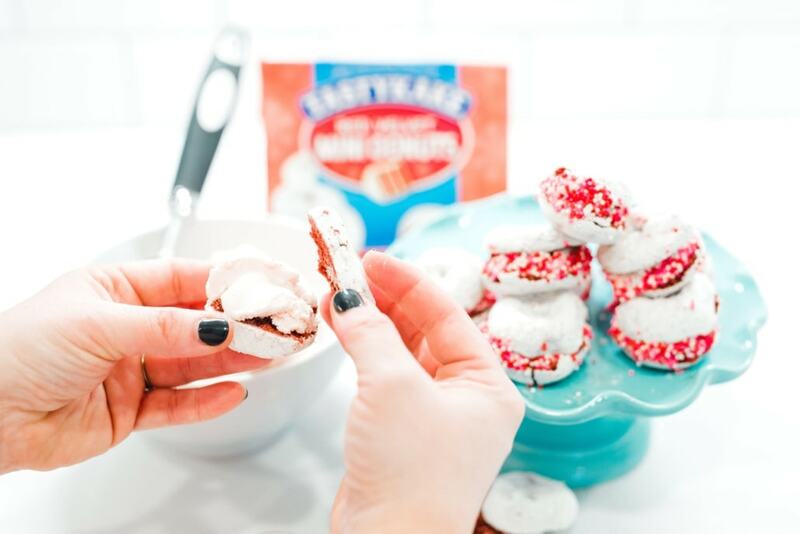 With so many flavor combinations the possibilities are endless! After selecting your center, roll the sandwich in the sprinkles of your choice. 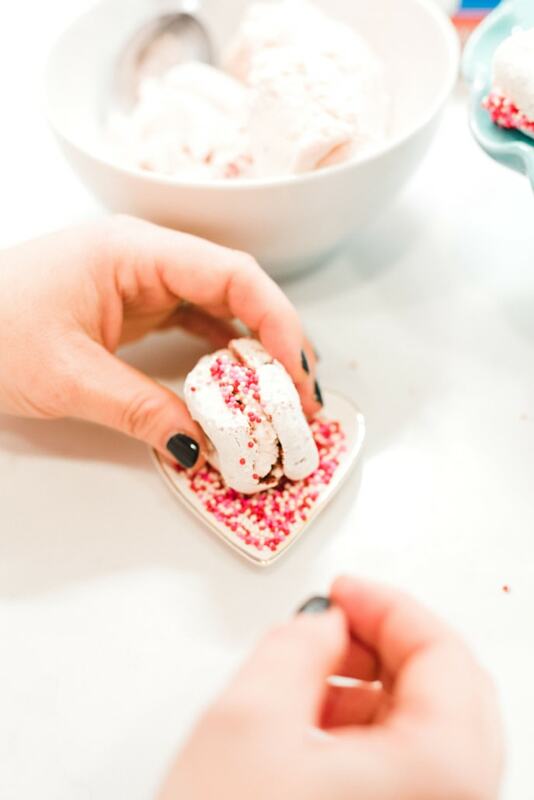 Stack and serve these little sandwiches your sweethearts will love!